Cannabis alchemist and author of many spirited books, including Cannabis Cocktails, Mocktails & Tonics and Apothecary Cocktails, Warren Bobrow, hails from New Jersey, where he still makes his home. WB: In my former life working in the craft-spirits business, I created a life for myself as a Master Mixologist for a global liquor company. Through this intriguing dialogue of flavor, over sheer intoxication, and through the magic of global events such as the Moscow Bar Show, and Tales of the Cocktail, I came to the realization that most cocktail syrups and mixers are corn sugar soaked messes, without much natural flavor, nor aromatics of real fruit. These ubiquitous mixers that force less than natural flavors upon the consumer are not my focus, nor my friends, as I seek the real thing. Flavor that leaps from that glass sitting in front of you. Color that is vibrant, and natural in scope. There is an unspoken-magic that takes place when a well-crafted cocktail is built with the finest hand-produced ingredients available. This product is Fruitations. My life changed that moment that I started using it in my craft cocktails. I took bottles of this salubrious liquid elixir to the Moscow Bar Show in Russia, and then used them to blast the antiquated concept that all cocktails must be overly sweet, out into space. The back-story is most cocktails in Russia are made to be overly sweet, as this comes from being denied sugar for a hundred or so years, so their deeply potent, sweet-tooth is well-known. When the participants of my master-classes on mixology tried the Tangerine Fruitations, they were astonished. It’s not overly sugared, and then any sugar that exists in the mix is pure cane, instead of corn based sugar! This is brilliant! So I learned, by utilizing Allison’s brilliant syrups in my creative mixology, her flavors were going to make me a star. Later on I discovered that we are both May 20th babies, and the friendship was cemented. Just as I found by utilizing Fruitations in my craft cocktail experiments. I even used Fruitations Grapefruit and the above mentioned Tangerine- (brilliant stuff) in my appearance, making cocktails on the TV Show named Viceland Live recently. Allison’s Tangerine Syrup made me look fabulous! Thank you, my friend for creating such deeply passionate and positive flavors for others to enjoy. Rene Descartes stated: “I think, therefore I am”, and nothing could lead me closer to finding the truth than enjoying this specific path to enlightenment. How is this done in the modern context? By slipping a couple of these tasty little SUM Microdose charms under your tongue, that’s how. Micro-dosing tiny sublingual mints of the highest quality brings the curious CBD and THC imbiber closer to the true meaning of healing. This can be achieved in very small ways. How is this done? Each perfectly formed mint has a curiously refreshing quality in each micro-dosed sublingual. The label states focus and what is delivered does just that, in a precision dosed amount that balances CBD (the healing substance in cannabis, and in hemp), and THC, found in cannabis. When THC is balanced against CBD, a curious conundrum known as the Entourage Effect takes place. Contrary to the popular belief that higher THC levels are more important towards, ‘getting high’ than low THC levels. And those that balance CBD to THC are right on the money. Danny Murr-Sloat is shaking the luxury cannabis market by breeding and cultivating his own select cultivars— AlpinStash OriginalsLemmiwinks, Sparrow King, Falkor, Grape Grimoire, and Platinum Tiger Cookies— in a fashion that is uniquely his own. Danny is both intriguing and pragmatic. His methodology is organic in procedure, with some very special techniques added that he happily shares with his fellow growers. I was immediately impressed that Danny is not “Chasing THC,” which I believe is the downfall to the cannabis industry. After I had my cannabis DNA tested, I realized that the “Chasing THC” theory is flawed. My body, and that of many others, should not be using only high THC cultivars. Low THC and a balance of THC/CBD is far healthier, when growing medically applicable cannabis. Danny has forged his own path, impressing Colorado’s cannabis connoisseurs. In this interview, he discusses indoor growing and the lack of a traditional terroir. I think his answer to indoor cultivation is brilliant, and it shows that flavor and quality shine through in their own, intimate manner. AlpinStash is raising the bar towards an even more visually pleasing, flavorful and aromatically driven cannabis. 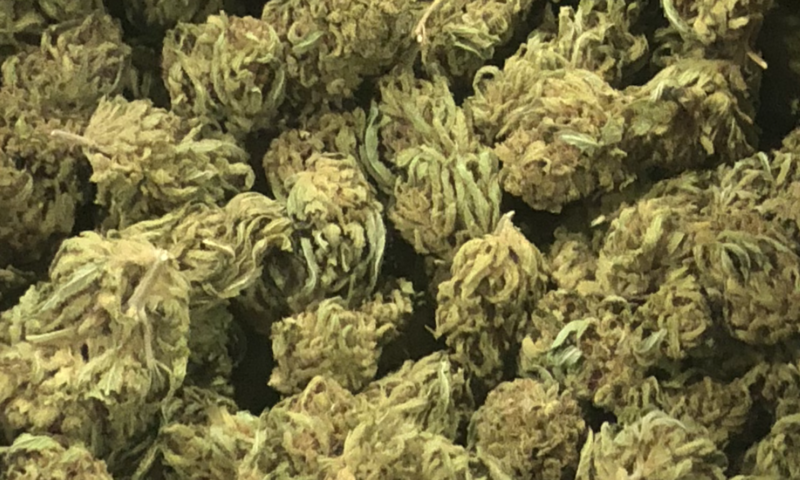 One of my main concerns with indoor growing is the lack of individuality, but AlpinStash retains all the visceral characteristics of hand-tended, luxury cannabis, and then adds their own individuality—their own signature. Luxury cannabis has never tasted so good! Now, without further adieu, may I present the founder of revered micro-cultivation brand AlpinStash. Please allow me the pleasure of sharing with you, Danny Murr-Sloat. With Valentine’s Day fast approaching, the historically perpetual image of a sweet drink in every glass is as flawed as the original recipes that they emanate from. It’s not necessary to make every Valentine’s Day themed cocktail sweet! This should be a head’s up to the theory that Valentine’s Day always a day to overwhelm your sweet tooth! There are several ways to entice the drinker into wanting to take their palate to a higher place with Valentine’s Day Cocktails. First of all, the glassware should be exciting. A new coupe’ glass, or an elegant Champagne flute, or if your drink centers around the masculine in image, perhaps an extra heavy Old-Fashioned glass to cradle some extra old rum in relaxation? And there is nothing wrong with upping the game with exotic bitters as a flourish, just before serving. I love the varieties of bitters on the market today. They make my job, very easy. Photo by DPM, Inc. PHOTO BY DPM, INC. I love intriguing new products that are both crafty and also intellectually produced. Enter the “Poke A Bowl”, because the entire way that you’ve been cleaning the sticky resin and ash from your glass pipes is wrong. Wrong? Yes, that smelly brown stuff that clogs up the business part of your pipe or bong stem is just gross, especially when it gets on your fingers. You’ll know it all day! Creagen Dow has a solution. He knows intimately how to clean your gummed up cannabis pipe or glued up bong stem with simplicity and verve. It is a very sharp metallic non-stick post mounted to what appears to be an ashtray hailing from the 1940’s. You know the kind that has a gleaming metal, machine age formed and polished clam-shell lid, ostensibly to keep the smell in from all those nasty cigarettes. But this isn’t designed for cigarettes. It’s created to clean your ash spot. One of the other side-effects of smoking high end craft cannabis and accumulating this sticky resin, which is a byproduct of the natural plant oil, is the scent. It can be overpowering. So, if you could conceivably contain the odoriferous scent in a container that has not only an ingenious lid, but an interior made of high heat repelling silicone, then quite possibly you have a really great cannabis idea. That kind that comes to you when you’re stoned! That’s at least what I thought, and I enjoy these flashes of brilliance, it’s behind all my books. It’s simple and succinct, the Poke A Bowl system. I wanted Creagen to succeed immediately because of the simplicity of his invention, and because he tossed in a couple of really nicely made glass bowls in the package with the above mentioned clam shell, plus a very handy travel model also made of durable plastic. Hand held and unobtrusive, it eliminates the need to seek a small stick from a nearby tree, which always breaks off, rendering your pipe useless forever. This is a fine invention that should appeal to most cannabis friendly people. I’d love to see an adaptation on an elegant stand, like the early cigarette ashtray stands of the Jazz Era. That would be an intellectual re-use of a classic metaphor. Yes, a new product idea is born! Without further adieu, please eMeet, Creagen Dow.